When it comes to completing a home improvement project, you’ll find a vast variety of suppliers in the market, providing products or offering services that you could make use of. These companies come in all kinds of shapes and sizes, from global giants through to small UK based businesses. You will even find a variety of local companies in your area, who operate solely in the nearby area. In this guide, we’ve focussed on the specific benefits of using a local paving supplier for your next outdoor project. Find out more about what local paving suppliers can offer, that large companies may not be able to. Local paving suppliers are much more likely to have a better knowledge of the products they sell, so you’re likely to receive a higher level of service when purchasing through them. They will be able to give you detailed information about various types of paving and will be happy to spend time with you, to whittle down their selection to recommend the best paving for your own specific needs. You can certainly find the same level of service in some larger paving businesses, but it isn’t guaranteed and the staff’s knowledge is likely to be less comprehensive than that of smaller, local suppliers. Your business is also much more likely to mean more to a local supplier, with the person you deal with likely having a stake in the company. This means that they’re likely to have a higher amount of pride in the work that they do and will be willing to go above and beyond what a larger company may be able to. If you don’t fancy tackling your paving project yourself, chances are you’ll also be on the hunt for local traders who can get the job done for you. Local paving suppliers will have a great deal of knowledge and the best local traders in the area, which they’ll be able to give you details of when you’re purchasing your paving from them. 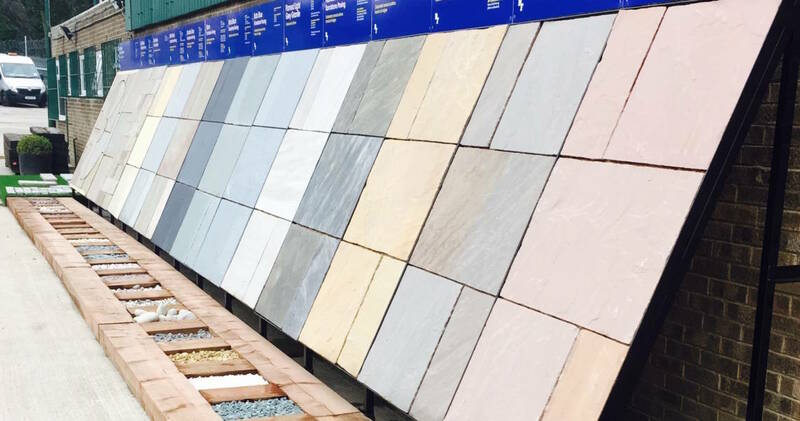 With a local supplier, you don’t have to worry about extensive research looking for a tradesman – simply pop in to your local paving supplier and hear about their best recommendations. Gone are the days where you would have to wait in the house all day for a delivery to arrive. A local paving supplier will be able to work a delivery around your schedule, much better than a national or international supplier would. This is because their customer base is much smaller and, as such, they’re able to provide a much higher quality level of service to these customers, as we mentioned earlier. Part of that greater level of service is ensuring that the delivery of your paving is best suited to fit your calendar, as opposed to the company’s. There are so many advantages to purchasing your paving from a local supplier. What’s more, not only will it benefit you, it will greatly benefit them and their independent business too. One single purchase from you has a greater impact on their business than it would on a larger paving company, which is certainly something to think about when choosing who to buy your paving from.